Life Seeker derived from a personal passion to help others live well amidst the mayhem of modern society. Founded by Sally Boyton, (product designer turned marketeer and now positive lifestyle promoter) the Life Seeker hub has been developed with a bucketful of passion and 18 years of communications expertise to reach the community of west Wales (read more about Sal here). “No one said it was going to be easy. We remind ourselves of this phrase daily since being inspired by The Side Project Report. Launching a new idea on the edge of west Wales isn’t easy. Yet we know that the journey is a vital part of the adventure. Several countries are now measuring GDH (Gross Domestic Happiness) in addition to GDP to encompass the economic, social, environmental and cultural wellbeing of society as a whole. Wales as a country has recognised the need to be working towards a healthier nation and is supporting this concept via the Well-being of Future Generations (Wales) Act 2015. There is an abundance of expert practitioners in west Wales who can help people to nurture physical and mental wellbeing, yet the community knows little about where and who they are. A fun, consumer facing portal to educate and encourage people to take responsibility for their own wellbeing in west Wales didn’t exist. Phase 1 was to introduce the Life Seeker concept to independent wellbeing providers. Many were passionate to come on board as part of the bigger mission, to share one voice and the ‘Play Smart. Live Well’ message. A select few were unsure about collaboration and questioned how it would benefit them. Some felt the Life Seeker audience was too ‘local’. Some lacked confidence in a product they couldn’t yet see. We continued on our mission to create west Wales’ first wellbeing hub with a small and passionate team of reputable positive lifestyle providers. We introduced the Life Seeker brand to the general public via local press, social media and positive lifestyle events. Initial feedback was fantastic. People wanted more. This motivated us to develop the project further. 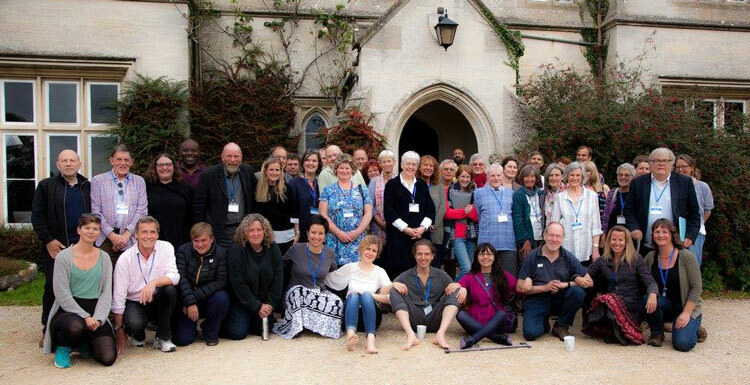 As well as following the work of psychologists and major bodies researching the science of happiness, we attended the ‘Building Wellbeing Together’ conference at Hawkwood College to take part in a discussion about how we, as independent projects can work in unison to support and promote the wellbeing message. As a micro business, this connected us to the bigger picture in terms of doing ‘good work’ and we now align what we do with the key players in this network. Research proves that connecting people to activities encompassing the 5 Ways to Wellbeing (keep learning, take notice, be active, connect, give) has a positive impact on physical and mental wellbeing. Several public bodies plus GP surgeries and health centres are starting to proactively prescribe social activity as an alternative to medication. This is fantastic progress and means Life Seeker can offer a useful resource to support people choosing to take this route to wellness in west Wales. 4.2 million people visited Pembrokeshire (1.9 million on a day trip) in 2011 with leisure being the core reason for visiting, specifically to experience the local environment and certain attractions. We felt strongly that although west Wales is known for its ability to relax, rejuvenate and restore, this isn’t promoted nationally as well as other sectors such as outdoor adventure and heritage. In response to this, we connected with Visit Wales, Visit Pembrokeshire and various holiday accommodation agents to promote Life Seeker activities as a potential ‘thing to do’ during a stay in west Wales. As Life Seeker doesn’t rely on funding to support it, we are passionate about maintaining its sustainability long term and are working with wellbeing practitioners to provide a cost effective and professional marketplace for them and for the community. 2018 will see more providers joining the hub, more educational content and a more diverse range of searchable activities on offer. So much has happened on the road to inspiring you to play smart and live well. And this is just the start. Positive collaboration is what’s needed rather than pockets of small providers working alone. We are excitedly developing our network, our web platform and ways to communicate so we can reach every corner of the west Wales community. Watch this space and do call us for a coffee if you’d like to join the mission.